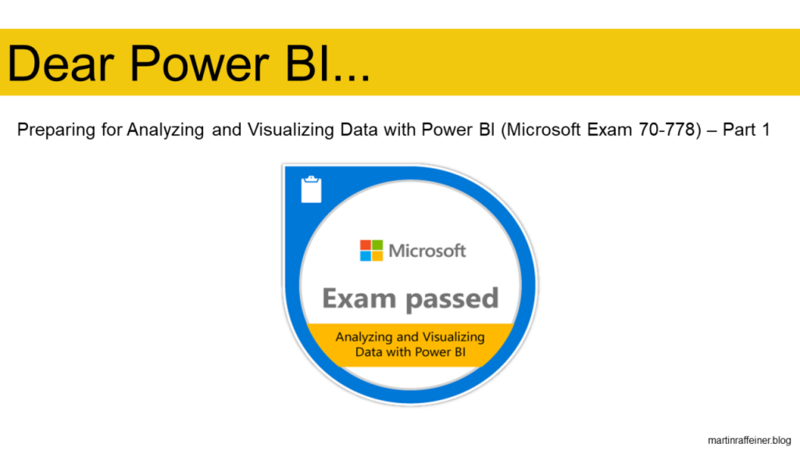 Recently I have successfully passed “Analyzing and Visualizing Data with Microsoft Power BI” (Microsoft Exam 70-778). After working some time now with Power BI (and for sure Excel), I want to “officially confirm” my knowledge aiming for Microsoft’s MCSA “BI Reporting” certification. This exam was the first step. Maybe it is also some time ago, since you took a “formal” exam, as it was the case for me. That’s why I am sharing my experience preparing for this one in a 2-part blog post. Both posts assume you have already working knowledge with Power BI. If not, I have some recommendations where to go at the very end of my second post. Just before actually taking the exam you need to agree to Microsoft’s exam policies which include a non-disclosure agreement. Consequently, I can’t and won’t share any exam questions here. A few more words on that: Searching the internet for preparation materials you will also find offers where you can buy so called “braindumps” of exam questions. Call me boring, but personally I think that if you really want to demonstrate your skills and not only show off with a badge or a certification, it’s better to invest some time and study to pass. I am a very structured person. I like to have a plan and I also like physical books. So first thing for me when starting to prepare for the exam: Looking for relevant books. Although there exist a lot of incredibly useful blogs and other materials (later more on that), I decided to buy Daniil Maslyuk’s book published at Microsoft Press: “Exam Ref 70-778 Analyzing and Visualizing Data by Using Microsoft Power BI”. The book did a very good job for me: It does not – and also does not want to – serve as a complete reference for all the knowledge required to pass the exam. Rather it served me as an overall guide through the topics covered by the exam, as well as pointing to further resources. Anyway, as the pace of new features added to Power BI is quite fast, naturally any printed resource has its limitations as it can only represent the status quo at the time when it has been published. Out of and on top of the resources mentioned in Daniil’s book here are my favorite ones listed by the skills measured in Exam 70-778. Beside actually working with Power BI, I kept being up to date about available data sources and features in this space by studying the respective section in the official documentation. With topics changing that fast I can also recommend subscribing to the official Power BI blog. Its newsletter provides you with up to date information in a digestible format. 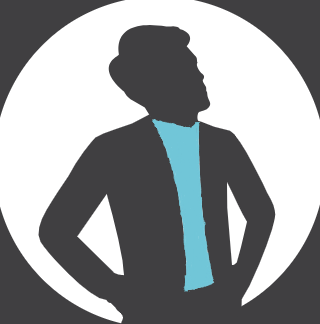 Furthermore it does no harm to have from time to time an eye on the “Summary of what’s new in Business Intelligence” page. If you are “more viewer than reader”, you might find the “Power BI Desktop Update – Month YYYY” videos on the official Microsoft Power BI YouTube channel more suitable for you. Here a personal tip on studying practice: I like to use post-it notes. They are not only useful for revising study notes at a later point in time. For me, just the simple act of writing it down makes it easier to remember. Hence, I ended up with my desk nearly fully covered by small yellow papers. Beside that, I can also recommend to have a closer look to Gil Raviv’s excellent blog with a lot of useful content – not only but especially – related to Power Query.